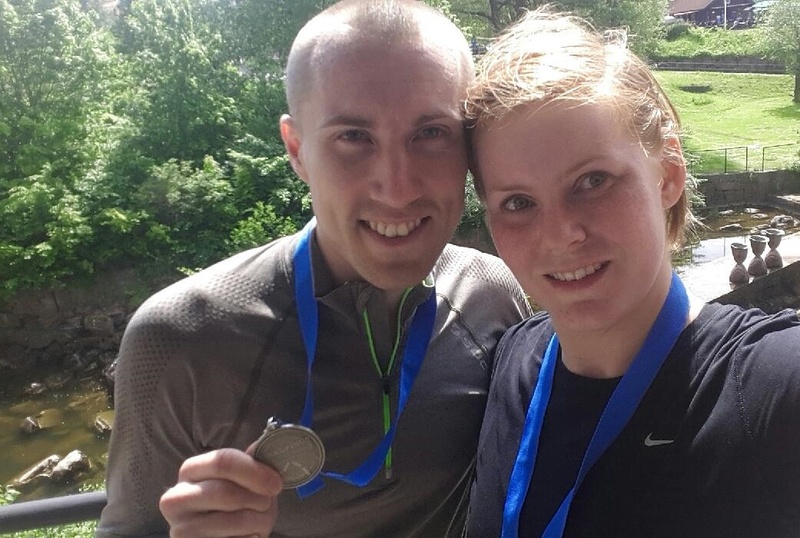 What can I say – Two award in one week! Last week the wonderful Crystal from “Adventures in Biastape” nominated me to “Sisterhood of the World Blogger Award!”, and this week lovely Catherine from “Catherine the Teacher” does the same. I’m just so happy and humbled by these ladies kindness and support of my work/blog. And since I got two awards I should probably double it…Right? I normally don’t pas on chain-letters and similar stuff, but I’m willing to compromise a bit on this one. So, I will nominate a total of 10 blogs, and come up with 10 new questions. And since answering these kind of questions are pretty fun, I will try to do both Crystals and Catherines questions here below. So prepare for a long post..
That seams quite fair I think. Lots of Swedes in there, but these are the blogs/and people I feel all do some tremendous work in both blogging and costuming. 2. What other tings do you do then sewing/creating? 1. Why is your blog named what it is? Everything else I tried was occupied. No, but really, I had lots of ideas, but non was vacant, or they would convey the wrong message. And being un-patient as I am, I just ran with the first thing that worked. 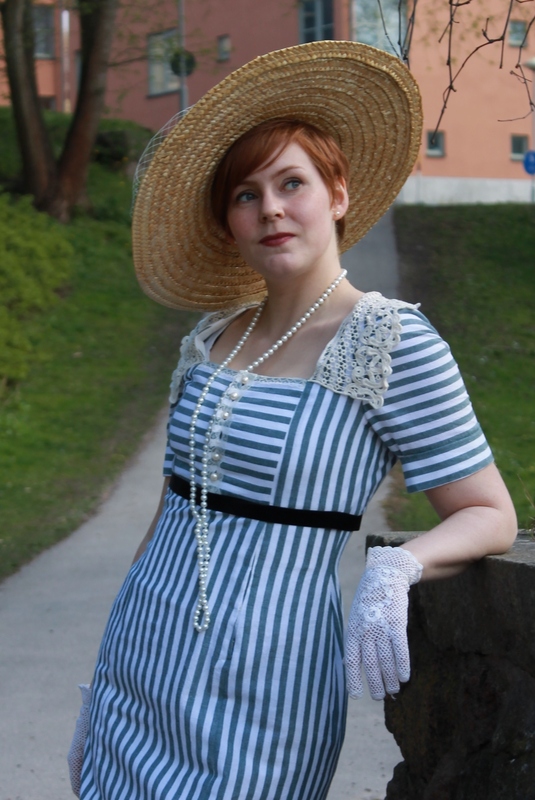 “The Historical Sew Forthnightly” 2013 – I read everyone else’s blogs and loved it. Then, when Leimomi (the hostess of “The HSF”) picked one of my project as her favorite and linked to my (only) picture, I knew I needed a blog. And now it has it’s own post! Yay! I love how you have all your knowledge in one place. You can go back and take a look at previous projects and learn from past mistakes. I usually look through my “Portfolio” when deciding what to wear to an event – so much faster then going down to the basement. I also love sharing my pictures of both costumes and events, and of course all the nice/smart/funny comments I get from my readers. 4. On average, how much time do you spend sewing? 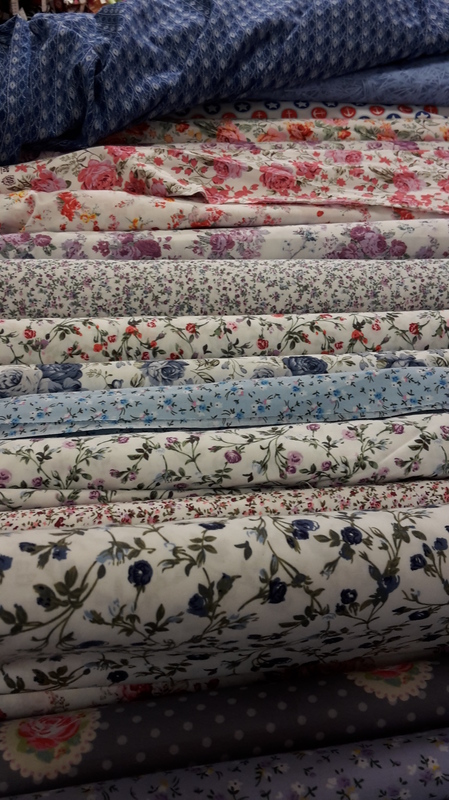 Having a full time job, I don’t have the time (or energy) to sew as much as I like, but I usually spent an average of 10 hours a week sewing – ca 1-2 hour/s in front of the TV each night, and at least a couple of hours at the weekend. 5. 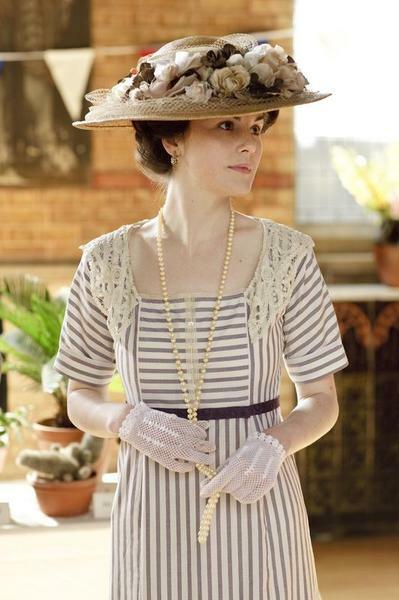 Of your favorite eras, do you prefer having patterns pre-made or making your own? 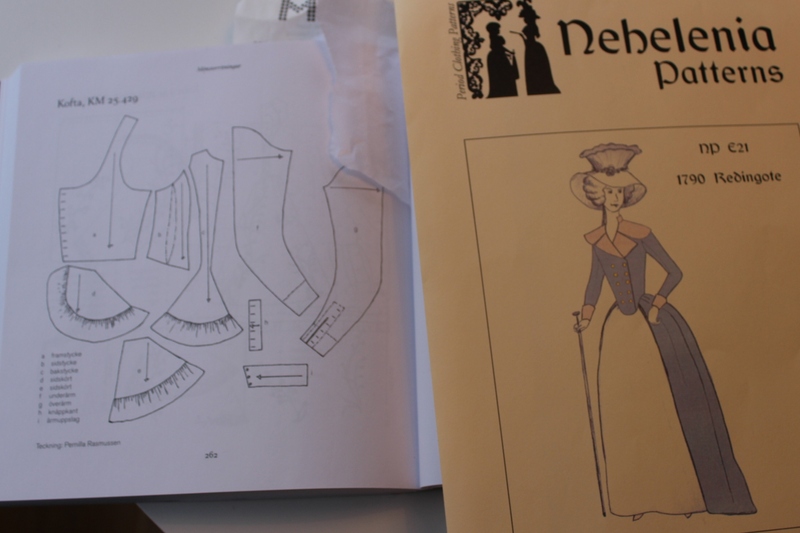 I usually make my own pattern (from any era), I either drape or draft the patterns using pattern templates and my dressmaking books as guides. I used to think it was hard using bought patterns – not knowing the makers thoughts when drafting. But lately I’ve been trying out some ready-made pattern which all worked great. 6. Speaking of favorite eras, which one is yours and why? Oh, this one is always the hardest question to answer, since I love them all so much, and it wary from day to day. 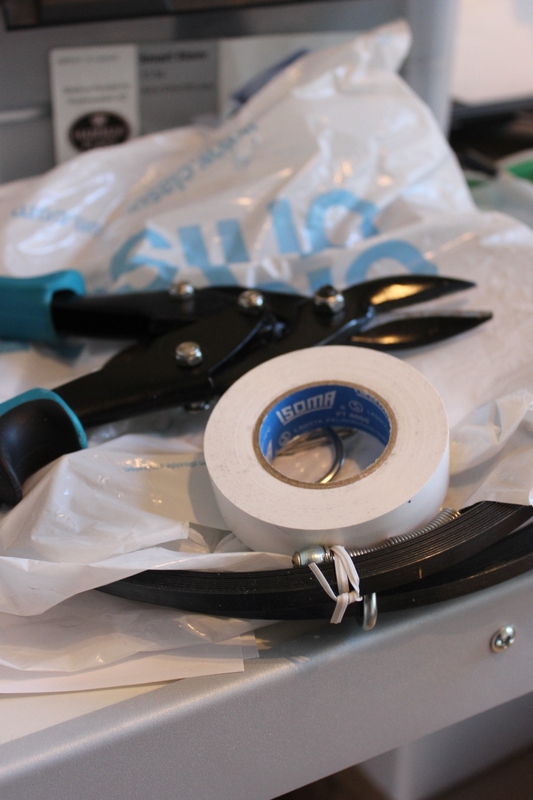 Hm, I’ve used Duck-tape, hot glue gun and plastic zip-ties. 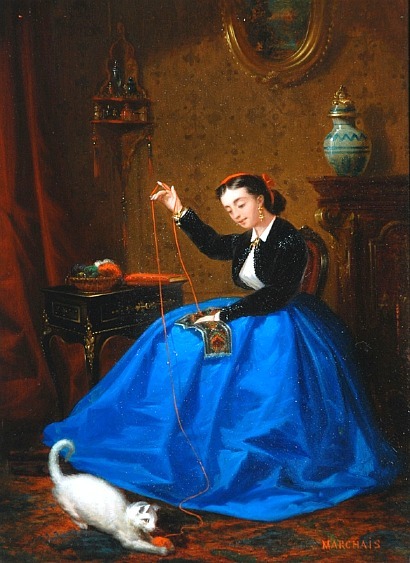 But I think they looked at me the strangest at the hardware store when I bought metal pipe-cleaners (and heavy duty pliers to cut said metal) to use in my 1850s Crinoline. I also must confess: My tool box (which I keep in my sewing room) is bigger then my boyfriends. 8. Describe your ideal sewing area. No I’m kidding, even though I tend to use about every room in our (big) apartment for sewing – You know, pattern drafting at the kitchen table, fabric cutting on the living room floor, hand-stitching in the sofa before the TV and trying out mock-ups by the hallway mirror. 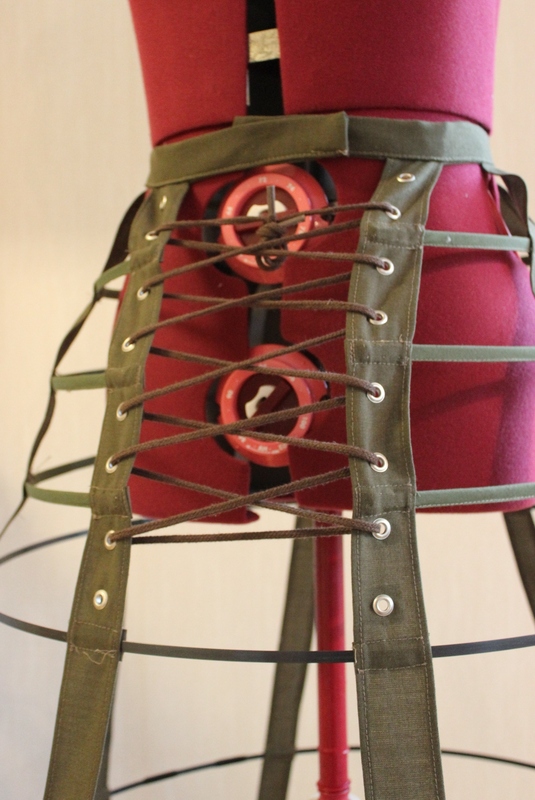 Whats the fun in being caught up in your sewing room…? 9. Care to share your favorite sewing tip/trick? Pinning everything, then stitching and finally pressing everything in one bunch, then back to pinning once again. And on and on it goes until I finish the garment with hand-sewing. Working like this makes it go so much faster then working one seam/piece at the time. 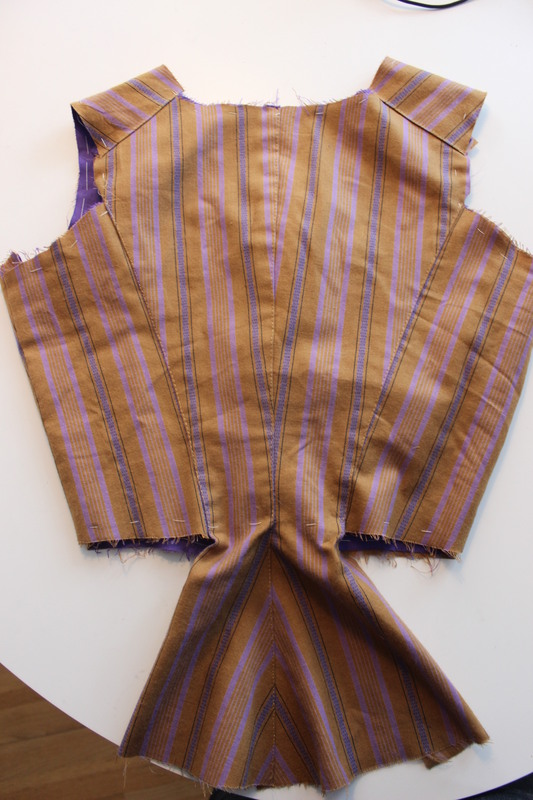 I do however need to know where I’m going with everything right from the start, as I often finish the sleeves before the bodice, and the lining is ready and waiting even before the final fitting. 10. Coffee or tea? Plain or doctored? Here in Sweden it’s considered strange (and a bit childish) not to drink Coffee, but I can’t stand the taste. When it comes to tea it’s basically the same – I do however drink it “when etiquette calls for it”, but I just rather have a glass of water. 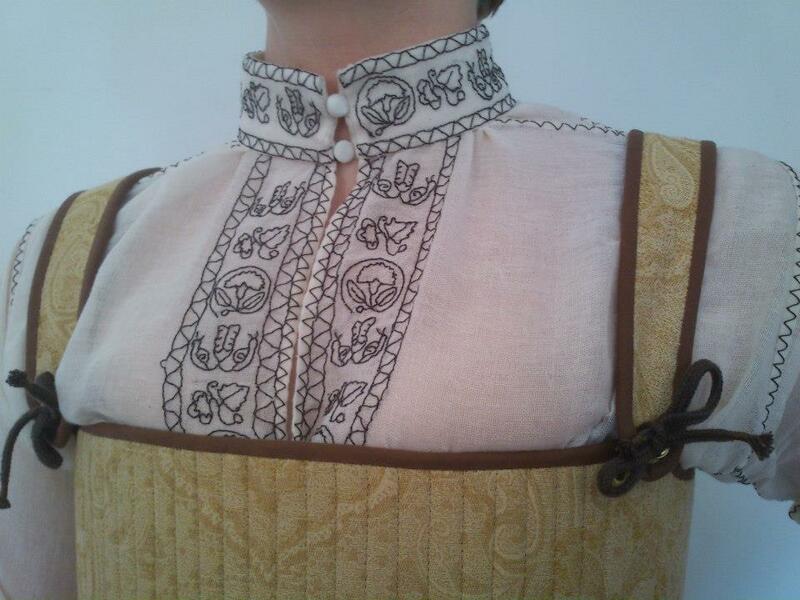 I usually watch TV-series on my computer when doing my hand sewing, preferably historic dramas. The trick is to re-watch. Then you already now what’s happening, and can focus on your work while listening and only catching a gimps now and then. I’m what they call a “project starter”, and sometimes have a hard time finishing one thing before moving on to the next. This makes my head over run with ideas, and my cutting table full off fabric and pattern piles for upcoming projects. And my own fabric stash (and sometimes the fabric stores stash). It’s when those two comes together that magic happens, as they say. Well, since I don’t have a pet (only a boyfriend), It does sometimes bother me when he lays on my work for attention, especially if I’m on a tight deadline. As a kid I was a really creative drawer/painter, and flooded my room (and my parents) with paintings. I can sill draw, but now a days I don’t have time to work at it as much as I used to. 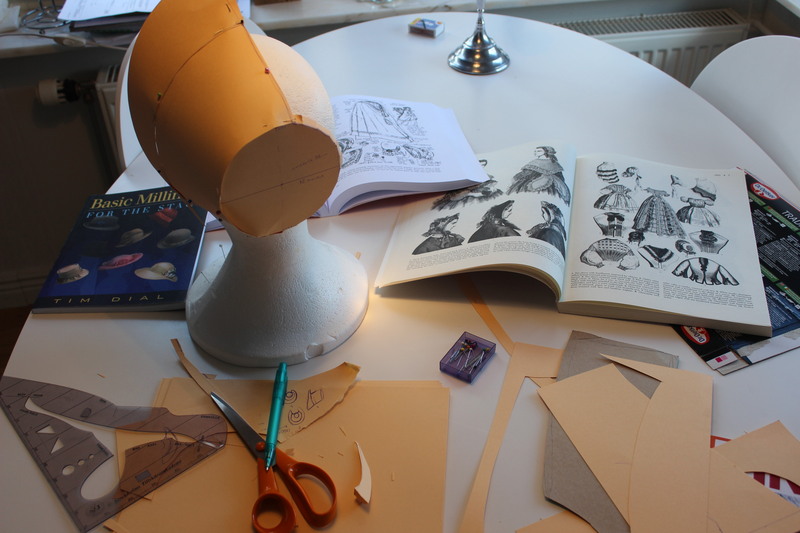 I started sewing in “Gymnasiet” (upper high school) about 14 years ago, where I attended “fashion & sewing school“. 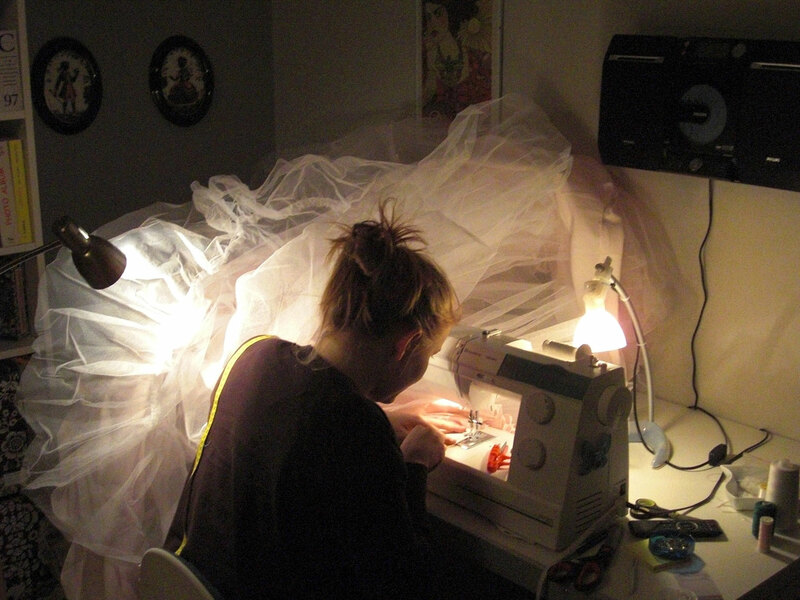 Me, working on a costumers ball gown about 6 years ago. 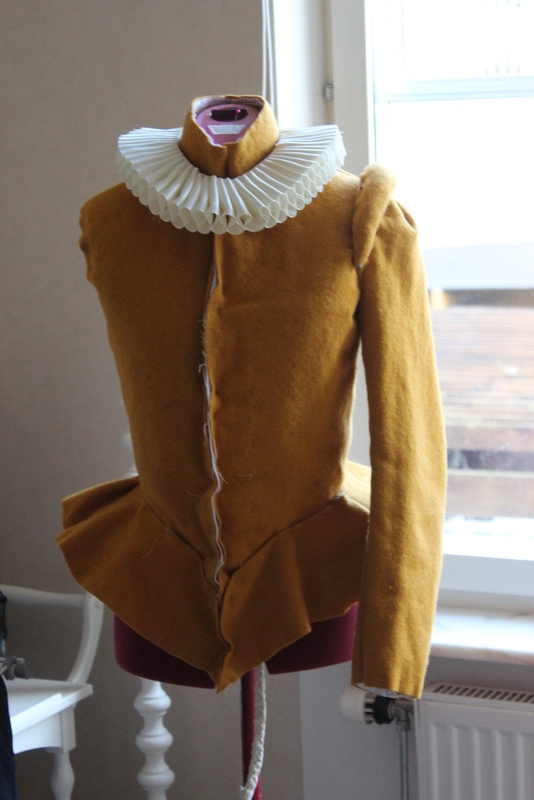 I’ve always been interested in history, but Historic costuming is relatively new to me – I only started 4 years ago, after some sporadic previous try’s. 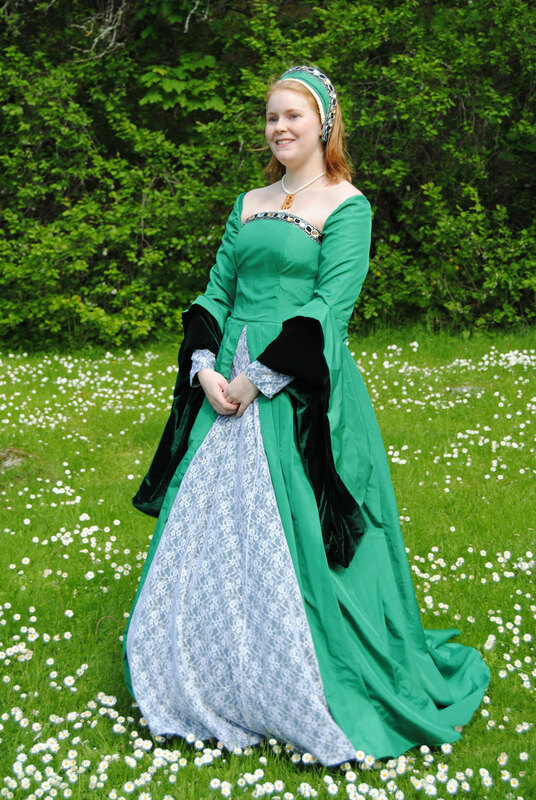 I think it was when I discovered “The Historical Sew Fortnightly” I really started to develop an interest in costuming and getting everything “Right”. 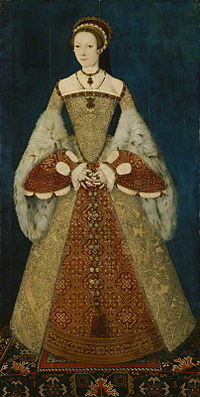 I just adore Izabela of “A Damsel in This Dress” Tudor gown. I make so many mistakes all the time (and always learns a lot), I’ts hard to choose just one. Perhaps it’s one of the events I went to last year – The Historic Multi Era Picnic, were I put so much effort into everything being perfect for me and my sister, that I ended up totally exhausted and really cranky instead of just relaxing and having a good time. Oh gosh there are so many – You know, always press, baste, measure and take your time etc. But I would say – learn to make it right, so that you then can learn how to cheat. Everyone on the historic blogosphere. But most of all I’ts been Leimomi of “The Dreamstress” for bringing everyone together in “The Historical Sew Fortnightly“, where I love to show of my creations. 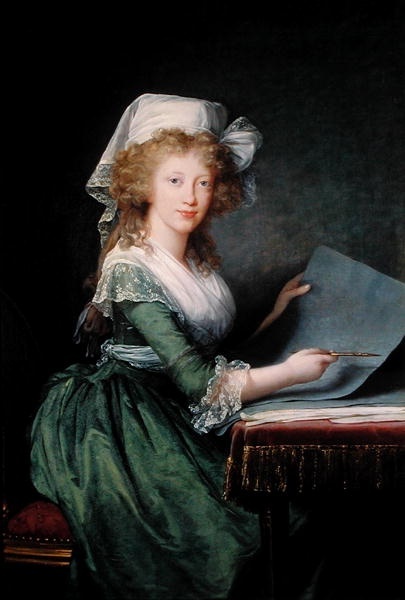 I also owe a great debt to Sarah of “A most Peculiar Mademoiselle” for getting me into historical sewing. Such a hard one, but I would love to go to Costume College one day, to see all the fabulous people/dresses and attend all the classes I’ve can only dream of here in Sweden. Wow! Thank you for the nomination. 🙂 I’ll answer the questions later today. I love the answers to my questions and the other ones as well. 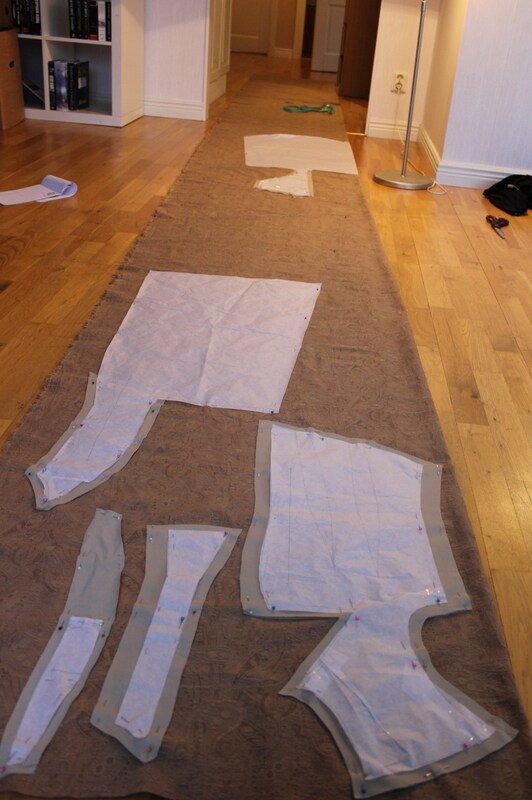 The pic of cutting our your pattern pieces looks like my house when I have to stretch out the fabric! Hehe. Luckily, my husband is usually mowing the lawn, at school, or playing video games when I sew, so I don’t have to get annoyed if he’s stressed about the fabric explosion. 😉 Keep up the great work! And thanks again for the award.